You can’t compromise quality on hiking boots. Sore, wet, cold feet can ruin an outing. In the worst case scenario, inadequate footware could create a survival situation. Here is how to pick the right boots. I don’t think a best all-around boot exists. Here are the shoes/boots what work for me, based on years of hiking, wading, strolling and tromping through various environments. Check out my list and improve upon it for yourself. Barefoot: Hiking, walking or strolling barefoot in the wilderness is crazy. Ever since Cody Lundin appeared in “Dual Survival” with his shorts and bare feet, hordes of imitators and emulators have come out of the woodwork. Stub your toe, or step on a thorn, sharp rock or piece of broken glass and you may create a survival situation. Not to mention the parasites that can afflict people with no shoes. Look up hookworm if you need a wake-up call. Flip-flops and/or sport sandals: Some of my personal favorites, I wear these almost constantly in warm weather. In August, my family camped on a sand beach, next to a pine forest. Since the main recreation was water-skiing, swimming and other water sports, footgear was minimal at best. But I noticed that nobody could barefoot it comfortably in the woods. Pine needles, branches and other pointy, stickery things made walking difficult. Low top running shoes: Running shoes can be fine for walking on a path. If you’re going on a long hike, consider taking along a pair. Wading a stream, barefoot, with a heavy pack on your back is dangerous and foolhardy (See barefoot.) So I made sure to take along running shoes on a 14-day backpacking trip through the Thorofare Creek/South Boundary Trail area of the Yellowstone back country. My footwear: flip-flops, running shoes, Merrill walking shoes, Danner day hikers, Cabela’s Outfitters and Sorel snow boots. Sometimes, because of constant stream crossings, I ended up hiking most of the day in soggy shoes. Several days of rain conspired with the creek crossings to keep my feet wet. Because my leather boots were lashed to the backpack, under the poncho, there were no worries about drying them out later. Later, my boot sole separated from the upper. I was able to hike a day out in my running shoes. Low-top walking shoes: These are what I wear on an almost daily basis. I like the Merrill Ventilators, because the color matches virtually any type of clothing. Where I work at Central Oregon Community College, my shoes match my usual attire of dressy-casual. These shoes are great for short hikes, or walking in urban environments. If there is going to be a problem with small rocks getting in the shoes, you can always add gaiters. Ankle high, uninsulated: For an all-around boot, this selection comes closest. My pick for this category is a pair of Danner Cougars. Mine are waterproof, and have a fairly aggressive tread. I wore these boots on Idaho and Oregon elk hunts in 2010, and really liked how they worked out. When you’re walking much of day, and the temperatures range from 30 degrees at dawn to 60 to 70 degrees at noon, you don’t really need a heavily-insulated boot. The comfort level and weight savings can be considerable. 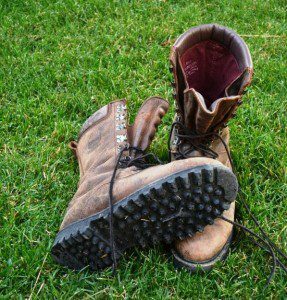 Something to consider when getting a pair of uninsulated boots is adding a quality innersole. I field tested a pair of alpaca felt innersoles, and loved how they worked. These Cabela’s Outfitter boots are waterproof and heavily insulated, and my choice for late season hunting. heavily-insulated, and great for long hikes in cold weather. On frosty October mornings in the mountains, the insulation is wonderful. But in the afternoon, when temperatures have heated up into the 70s, the boots tend to feel a trifle warm. They can also feel heavy, if you’re doing a lot of walking. Still, I remember one Idaho elk hunt where it rained and sleeted constantly one day. Moving through the wet brush got me soaked. The only things dry at the end of the day were my feet! Snow boots: Where I live in Central Oregon, a good pair of insulated boots for the cold and snow is mandatory for outdoor activities. I stick with the old reliable Sorels brand, and I have worn some variation of that product for years. 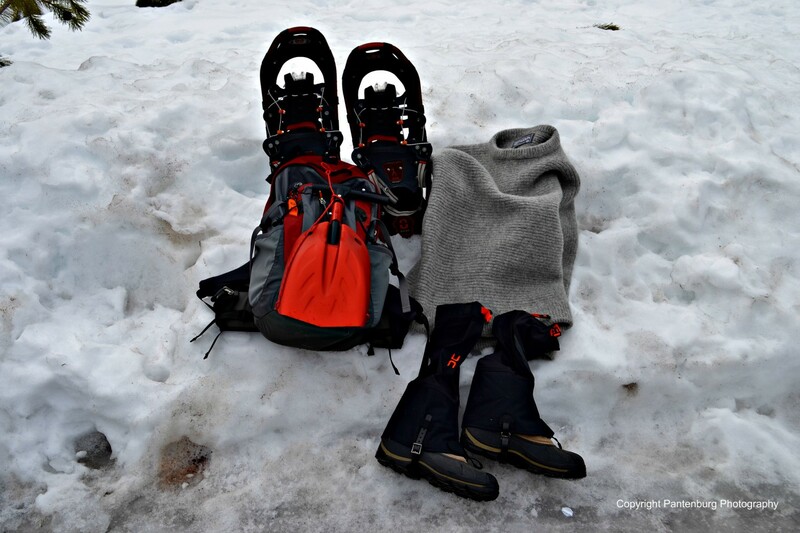 But a few years back, I went to ankle-high, heavily insulated boots to save on weight. My reasoning is that in deep snow, I’ll wear gaiters anyway, so an additional few inches of insulated boot aren’t particularly valuable. Knee-high insulated rubber boots: Sometimes referred to as “Muck” boots, these shine when worn hunting in swamps with standing water. The synthetics don’t carry scent, so they are a good choice for walking out to the deer stand. Snake Boots: If you hunt a lot of southern swamps, a pair of snake-proof boot might be a good idea. These boots are typically knee-high. Most snake bites occur about ankle or foot level, so you should be well- protected. Hip waders: I wore these a lot in Mississippi when I used to hunt greentree reservoirs and backwaters. Ducks, squirrels and deer loved the standing water that ranged from a few inches to several feet. The hip waders will keep your feet warm and protected until you step in a hole or trip over a log! Jungle boots: These canvas upper, military issue boots first became popular with many outdoorspeople during the Vietnam War era, and they are a good choice in many cases. 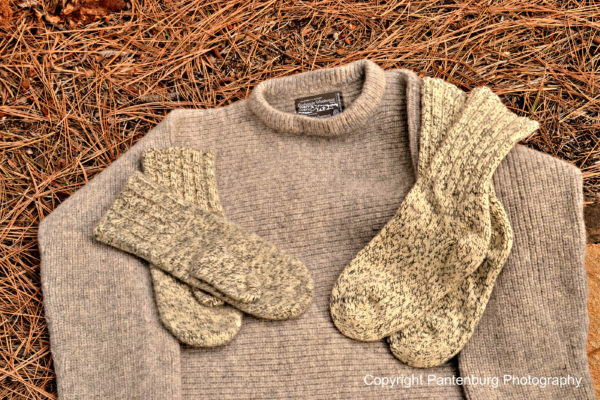 I wore a pair on a nine-day canoe trip in the northern Minnesota Boundary Waters, and they were perfect for the situation. My feet were wet constantly, but the boots offered good ankle support and an aggressive tread pattern for the daily portages over muddy trails. The jungle-style boots dry out rapidly, and are worth considering for hot, swampy scenarios. The L.L. Bean rubber bottom/leather top boot is a great choice for eastern deciduous forest hunting. deciduous forests, and I wore out two pairs before moving west. The design works really well in deep, damp forests, where the leaves are several inches thick. The flexible sole is great for slipping through the woods, while providing adequate protection for your feet. I bought mine large enough so they could be worn with insulated booties or felt insoles on colder days. I’ve worn out two pairs of the LL Bean Maine hunting shoes. The rubber bottom, leather top works quite well. They could easily handle a day hike, and are what I will wear next week hunting deer in Mississippi. If you anticipate wearing them in the south after your Yellowstone trip, you can’t go wrong with the Maine Hunting shoe. I don’t have any experience with the duck boots. Going to Yellowstone at the end of May. I’m from the south, so not sure what type of footwear to buy. 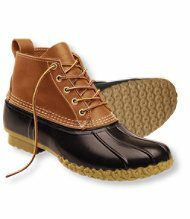 I was wondering about LLBean duck boots sine May is supposed to be the wettest month. I also know I would wear them again – not sure about hiking boots. Won’t be going over 3 miles hiking. What do you suggest for this newbie? Thank you for this post! This was extremely insightful. I have had my eye on the Hunter boots for awhile now, but I just wasn’t sure yet. Also, I assumed I would wear them in the winter too – glad I know the truth! Thanks again. 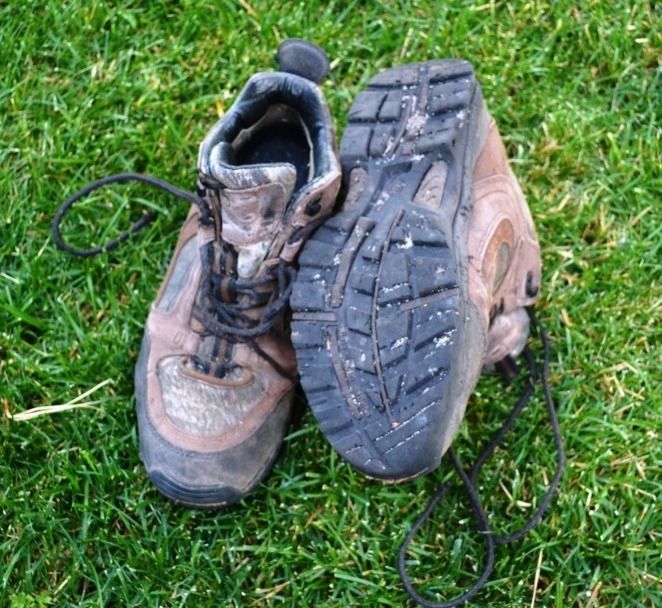 Sounds like you need a pair of medium weight hikers. My Danner Cougars have served me well, and anything from Danner is a good choice IMO. Check out your socks, too. I wear wool, regardless of temperature. Cotton will soak up the sweat and remain soggy. Get a pair of thin, polypropylene sock liners to wear under your socks. Some Dr. Scholl’s food powder on your feet before you take off is also a good idea. Way to go – hiking for charity! Any recommendations for a 100km overnight moderately hilly charity hike? I have done this on 3 occasions and the only lesson i have learned is to change the socks keeping the feet dry.